As a busy mum we tend not to not put ourselves and our eating habits first. How many of you eat breakfast standing up, have lunch on the run or skip a meal altogether? It’s easy to let our own health slide and to become rundown. Luckily for us, we can rely on The Organic Place to deliver us fresh, delicious, organic produce and products that can give us the extra boost our tired and sleep deprived bodies need. Of course there’s a million different salad combinations you can try but I really love this one because as well as tasting great, it is full of super ingredients. Eggs are the most amazing food that keep us fuller for longer and provide us with protein and vitamins. 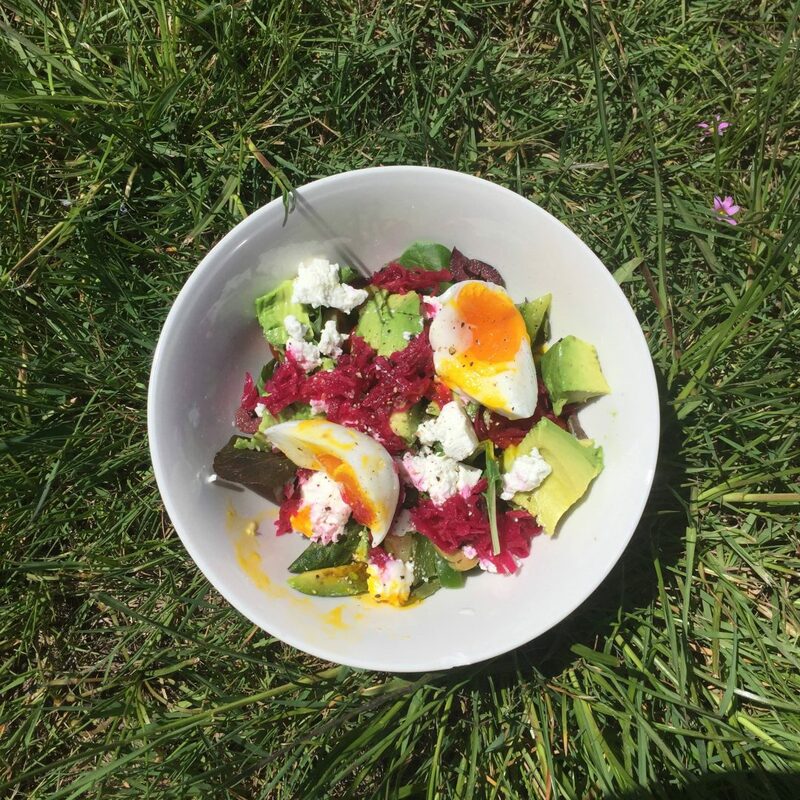 Kehoe’s Kitchen beetroot sauerkraut provides us with probiotics for a healthy gut. Avocado and olive oil are good fats. Feta is a delicious touch of dairy. The greens in the salad, of course, are packed with amazing minerals and fibre. You can throw this salad together in the time it takes to boil an egg, and from there on, you could even eat it one-handed if need be. Mums with clingy bubs, you’ll know what I’m talking about here. Celebrate the change in Spring weather and whip up this salad for yourself. Your taste buds, and your body, will thank you.